I've fallen behind. I'm a day late in the Great Writers series but I must persevere. 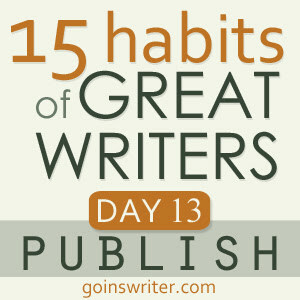 According to Jeff Goins perseverance is what great writers possess to become successful. Giving up 2 days before the end is NOT an option. The manuscript in your dresser drawer? Send it off. That article you’ve been thinking about writing for an A-list blog? Submit it. Let go of control; you’re ready. That eBook you’ve been stalling to finish? It’s good enough. Put it out there. This challenge made me pause because 1) I don't have a manuscript in my dresser drawer, 2) I don't have an article idea to write for an A-list blog, and 3) I don't have an eBook that's waiting to be completed. I chose another option that would stretch the person who compartmentalizes her life in tidy divisions. My Facebook profile/page strictly exists for my photography business and persona. I rarely make personal updates or post ubiquitous quotes on my Facebook profile. I haven't shared my personal blog on Facebook and never planned to. Until now. Recently, I completed and published an entry on this blog which left me queasy and nauseous. After 6 months of revisions, edits, do-overs, and self-doubt I banished my fear and published it. In this particular entry my vulnerability permeates the space between words. It's a single mom's story of her burden of regrets and the responses from her children regarding what she could have done differently. 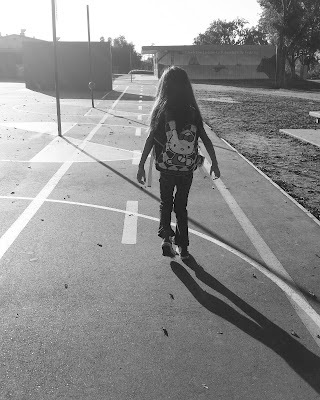 I didn't have a manuscript, eBook, or blog article to publish but I DID have a blog entry to share on a platform where my personal side was absent. For the hundredth time I made revisions to my blog entry, Bombs of Regret, and extricated the weak words I found. After a day's worth of inward whining and groaning I posted it on my Facebook profile. I felt sick. Publishing my blog entry on Facebook was the act of courage I needed to make. Stretching me past my limits I realized I harbored more self-doubt than I realized if sharing a blog entry on Facebook made me nauseous.